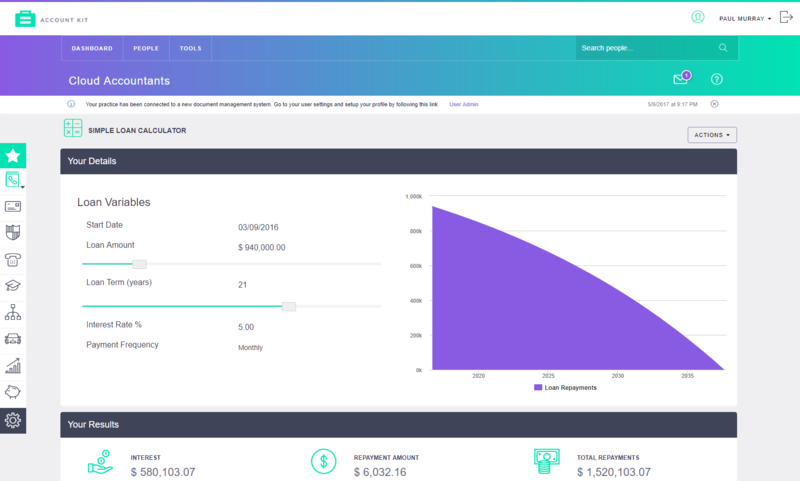 AccountKit’s tools are designed to make your cloud-based practice more efficient, and give you the insights you need to start bigger conversations with your clients. Tools to help you run your practice more efficiently. Track key information such as client correspondence, the location of important documents and staff professional development. Tools to centralise and automate your compliance work across your practice. Automatically post and reconcile equipment finance and inter-entity loans, streamline your fuel tax credit calculations and more, all while syncing with Xero Practice Manager. Tools you can use to start bigger picture conversations while educating and empowering your clients. Help them understand their current position and business structures as well provide opportunities for your team to help clients plan for the future. 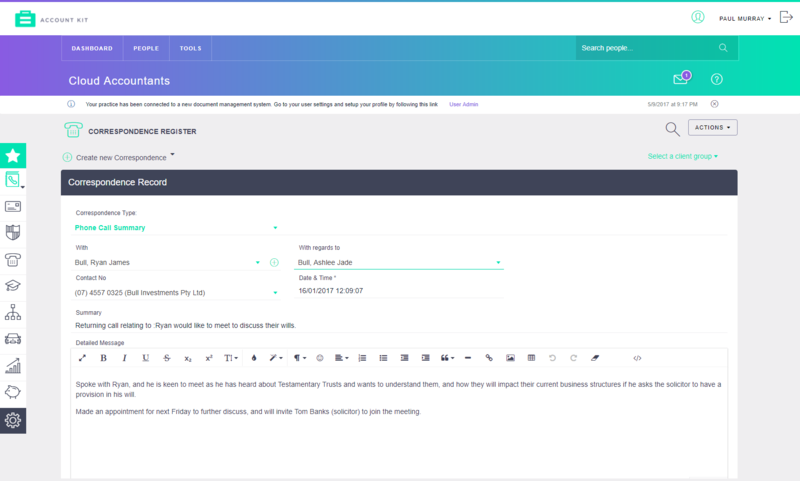 Keep track of meetings and phone calls to clients across your business, and on-forward messages to members of your team with the click of a button. Reduce the need for fiddly spreadsheets and keep a record of all posted mail sent to clients in one central place. This handy tool stores the status of important client documents (such as wills, trust deeds and land title certificates) that may be marked as checked in or out of your practice. Keep track of your clients business names, who they belong to and when they're due to expire. Stay on top of your team’s training requirements by storing all CPD and course information in one place. Reconcile otherwise time consuming inter-entity loans between multiple accounts across Xero files. 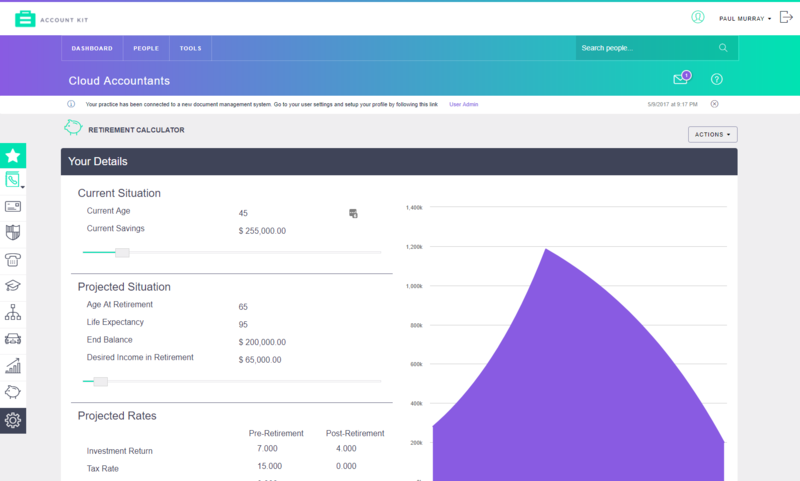 Plug the details of any client asset purchase and associated finance arrangements into AccountKit and you’ll be able to build a finance schedule (either regular or irregular) and automatically post entries as well as reconcile throughout the year. All in real time. 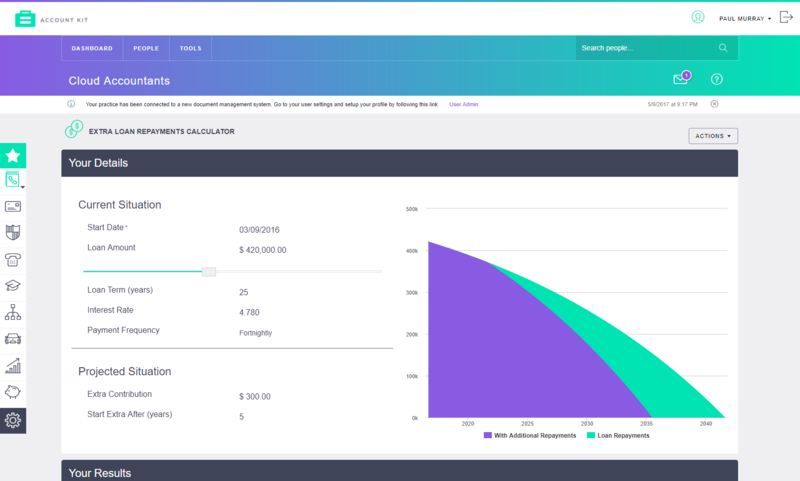 Automate the calculation of your client's fuel tax credit claims through extracting fuel information from their Xero file and applying the appropriate fuel rate for the selected period. Every time a dividend or tax payment is made, AccountKit can capture this information and store it alongside client data for future reference. A tool to draw diagrams of client business structures and entity relationships. Share, save, update or export. Every change syncs instantly with Xero Practice Manager. A handy visual tool you can use to show your clients what they can expect to pay over the life of a loan. 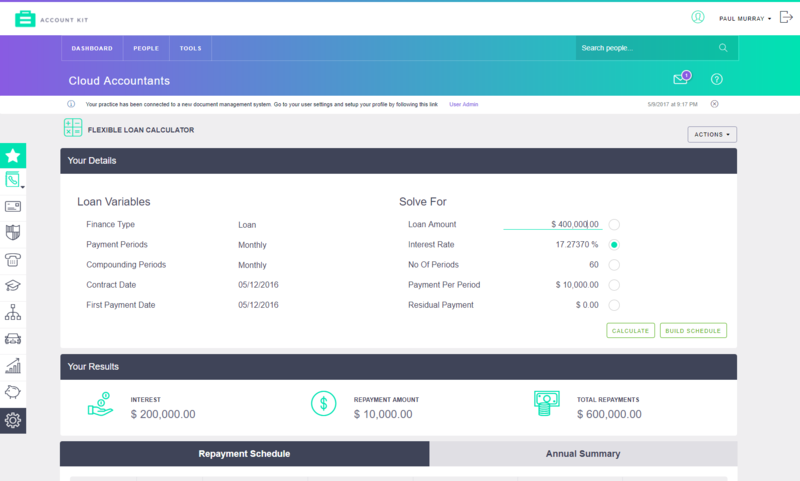 An extension of the Simple Loan Calculator, this tool enables you to calculate any variable to a loan and demonstrate to clients how their repayment schedule might change as a result. Show clients how much they can save (in time and interest) by making extra repayments on their mortgage. 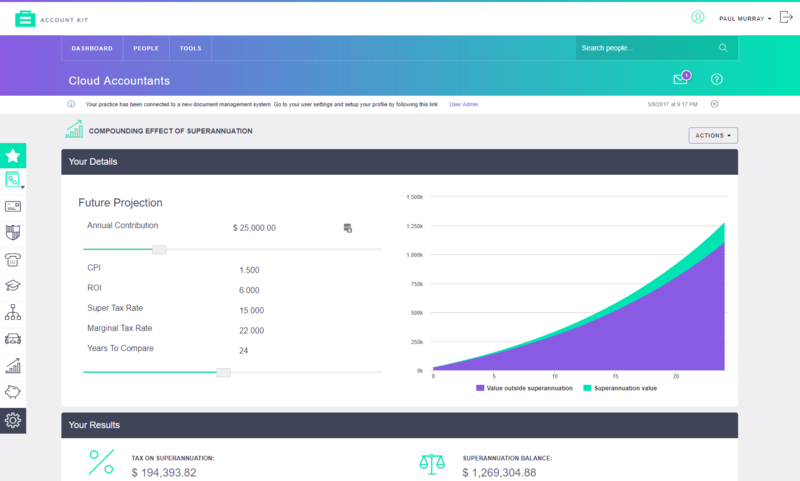 A tool you can use to start a conversation with your clients about investing in super, by showing them how they could benefit by making additional contributions over their working lifetime. Start the conversation with your clients to help them plan for their retirement based on their individual circumstances with this useful calculator. Use to lead into broader financial planning opportunities.